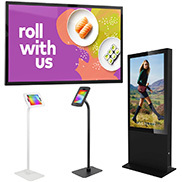 Over the last 30 years, we have grown to become the UK's leading supplier of display products and exhibition stands. 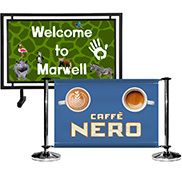 We have thousands of products in stock for rapid nationwide delivery, a 14-day money back guarantee on display equipment and prices you'll love. 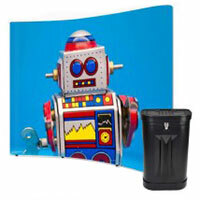 Add to that an in-house design, large format print and finishing service and you have a true one-stop display service. 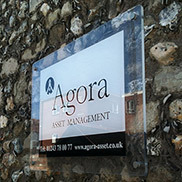 We hope you enjoy browsing our website and we look forward to supporting your business. From artwork guides to product videos, we have you covered. 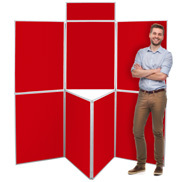 Take your display to the next level. 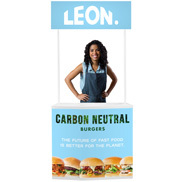 Want to know how to put up a pop up stand or how to choose the best banner stand? 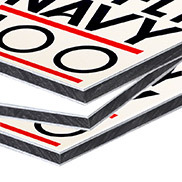 Need to know the best material for an outdoor sign? You'll find the answers to these questions, and much more, along with exhibiting hints and tips at the Discount Displays resource centre. 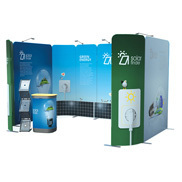 EXHIBITING MADE EASY Display systems, pop up stands, banner stands, exhibition graphics and much more. 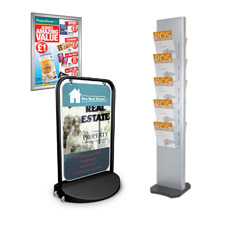 At Discount Displays we have everything you need to take your marketing display to the next level. 14 DAY MONEY BACK GUARANTEE Total peace of mind when you buy hardware from Discount Displays with our 14-day money back guarantee. 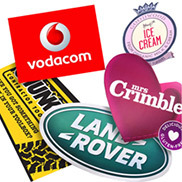 30+ YEARS EXPERIENCE We have been helping businesses promote themselves for over 30 years. Why not use our experience to highlight yours. 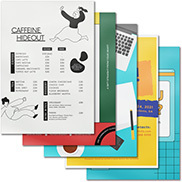 IN HOUSE DESIGN AND PRINT Leave it up to us! 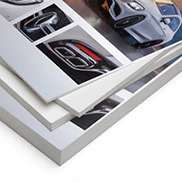 We offer a true one-stop service with in-house design, large format printing and finishing. 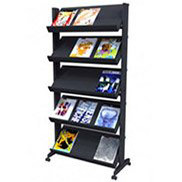 LARGE STOCKS DELIVERED FAST Unlike many of our competitors, we have invested in large stocks so we can supply what you want, fast. PURCHASE ORDERS ACCEPTED Instant accounts! 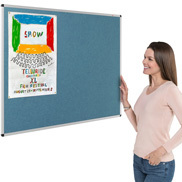 We accept purchase orders from government funded organisations including schools. All companies can also pay by pro forma invoice or BACS as standard. 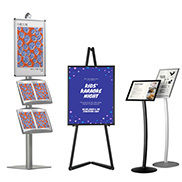 DISPLAY EXPERTS We want you to be confident when exhibiting or promoting, and we have used our years of expertise to put together a display resource centre and blog with articles covering marketing, printing, design as well as display product news. 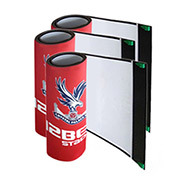 PRICE PROMISE If you find a cheaper price for a display system product we sell, just send us the details and we will match or beat it! 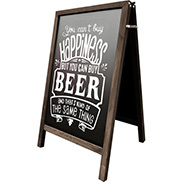 We don't cut quality, but save by keeping tight control of our costs, buying in bulk, and printing our graphics in house. If you see cheaper display product prices elsewhere, ask why? How are the graphics printed? What inks are used? What material is the stand made from? Will the graphics have a good fit? See our price promise page for full details. 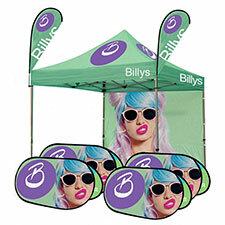 OUTDOOR EVENTS Ideal for outdoor product launches, promotional events, festivals, and trade show advertising. 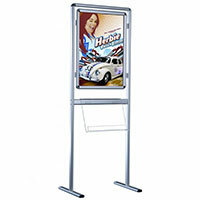 Portable displays that are lightweight and easy to use. 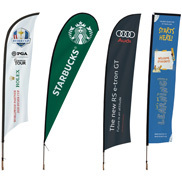 Product ranges include outdoor flag poles, banner frames, outdoor banner stands, pavement signs such as a boards and swing signs as well as a range of display systems. 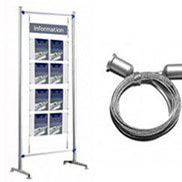 PORTABLE EXHIBITION EQUIPMENT Our portable display systems and exhibition stands, including pull up banners are the ideal way to get the most from your exhibitors budget. We carefully choose the equipment we sell to ensure top marks for durability, affordability, easy of use and portability. 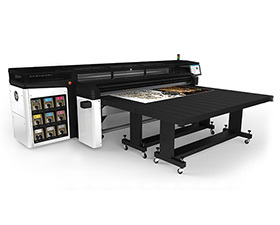 LARGE FORMAT PRINTING You only have a second to attract passers-by so don't miss out. 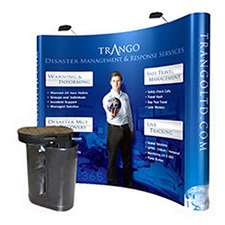 We have been producing show stopping trade show and exhibition graphics for the last 30+ years. 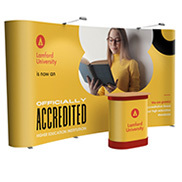 With design print and finishing in-house, you can be sure of large format exhibition graphics that will get you noticed. 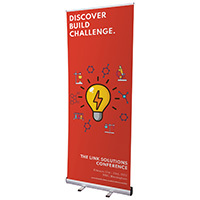 Our large format printers are used to produce trade show graphics, PVC banners, rigid graphic panels, rollable displays, floor graphics, site boards, window display, and signs for modular display systems. 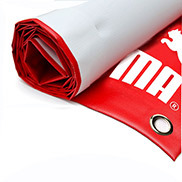 POPULAR PRINTING PRODUCTS Some of our popular print products include banner printing on various materials such as vinyl banners, indoor banners and outdoor banners. 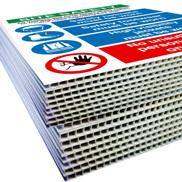 As well as that, we also offer poster printing with our indoor posters being the most popular choice. 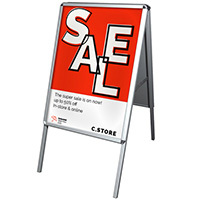 You can make your shop stand out with our business signs and shop signs. 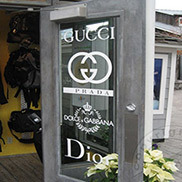 Adhesive graphics include printed vinyl, digital wallpaper as well as many more materials. 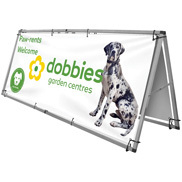 For outside events we have outdoor graphics, special event signs, outdoor banner stands and hoardings. 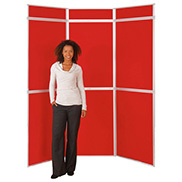 TRADE SHOW DISPLAY SHOWROOM We have a 2000sq foot trade show display equipment showroom. 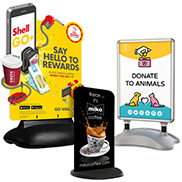 View our complete range of portable display solutions, including popup display systems and trade show accessories plus our marketing display boards. Based on 800+ reviews. See some of the reviews here.